I have been contemplating shelling out the cash to purchase Quickload. It is hard to find a variety of powders particularily the more popular ones. As I use more cast bullets I often can't find applicable load data. I have read a number of reviews but still am on the fence. Do any Nuts have this spftware and what is your experience with it? How close is it to published data? Is it flexible enough to handle light loads for lead bullets with relatively, for the calibre, faster powders? These thoughts all started when I saw a custom 100 grain plain base mold in. 268. I have some H4198 that might work well with this bullet in a 6.5 mauser. While there are better powders, they just aren't available atm. I only wanted to say to you that, whenever I have a choise, I take a lead bullet as heavy as possible. So a 100 gr bullet in 6,5 mm wouldn't be my first choise. The 100 gr in 6 mm would be a better choise in my opinion. I don't use Quick-Load because it operates on Windows and I don't like supporting businesses that attack my rights (Microsoft). I might try it if they ever bring out a linux version. From those who have it and use it (hear-say) it works well and provides fairly reliable information to the user. It is software that accepts user input so like all software if you put in bad info the results would be at least as bad as the input. The output table has loads that are listed as dangerously light all the way to overloads based on the bullet data, the caliber and the case volume. It has a fair list of cases in its database and a good selection of bullets too. If you selected a powder, bullet and cartridge case listed in the database or measured the volume of your cases to get a mean average then the results would be dependable. If you tweak the input data - even a little - then you might end up with dangerous data that is listed as safe. It is a good tool but it is just a tool. Use it right and it should be fine. Bloody awesome program to work out new load using new projectile or powder. Result is pretty close to the actual. If you do wildcats loads you ought to have this. 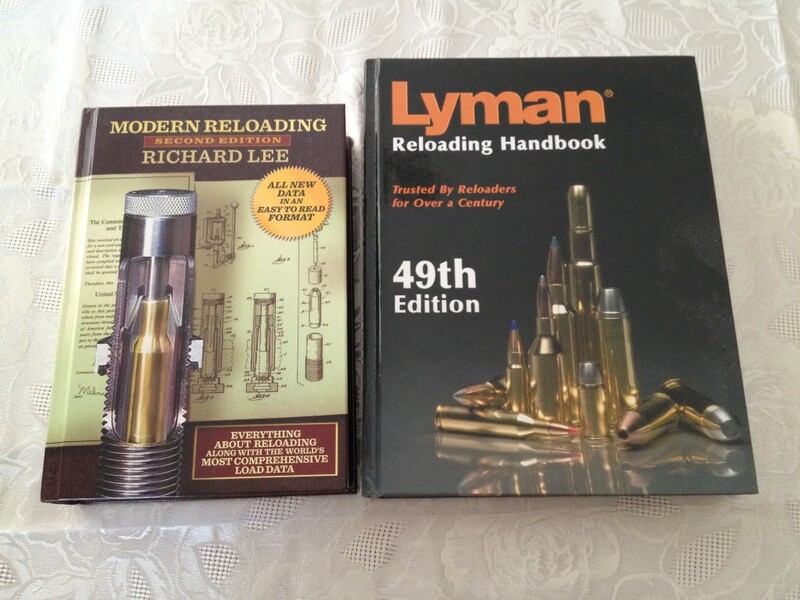 I don't have Quickload Mac, but my shooting buddy gave me two books for Christmas that have been invaluable for cast load development. I have found Richard Lee's book in particular to be outstanding, especially Chapters 7, 8, 9 and 10, with Chap 10 being the most enlightening and useful. Both books have heaps of load data that is extremely helpful, especially for cast loads so I can highly recommend them mate. A member on here Azar has it, try and pm him, haven't seen him on here for a while tho. He worked up some loads for my 8x58rDanish with the data I supplied him and I'm very pleased with the results. I gave him a list of the powders I have on hand and the program gave me some loads that were within my parameters. Try at your own risk of course. I'd also love to have the program but it's expensive and I also do not use Windoe's Winwoes Winloads Wintoads Winroads Winbarf Winrose Winblows Winvaginas Winclods well I can't seem to spell it but you know what I mean. Yeah powders haven't been available that's for sure. I go every two weeks over to Cabela's when they get out some powders to sell and it's been probably 6 months since I've found anything I can use. Mostly they put out 50bmg and some smokepole, doesn't do me any good. I built an AR-15 in 300 blackout and can't find anything to powder up with. Lots of commercial ammo out there but $50or so for 2 boxes of 20 just isn't going to cut it for me. I have lots of cases and primers, projectiles in the 110gr are hard to find too but other than that I'm ready to load some up. Frustrating is too nice a word, I'm starting a new hobby now too, Ham radio. Taking my test on the 24th, it's technical as hell but I swear I'm gonna pass it. ...I'm starting a new hobby now too, Ham radio. Taking my test on the 24th, it's technical as hell but I swear I'm gonna pass it. Wait until they introduce you to "praying to the God of HF every morning" Suz, then the Theory of Antennas and Propagation....lots of fun. I'm starting a new hobby now too, Ham radio. Taking my test on the 24th, it's technical as hell but I swear I'm gonna pass it. Vince, turn the page please !!! Mac, It's one of those how much you gonna use it things !!! If it's something you'll be using more than a couple of time it's truly a priceless tool. Sorry mate, I tried, but it won't listen to me. 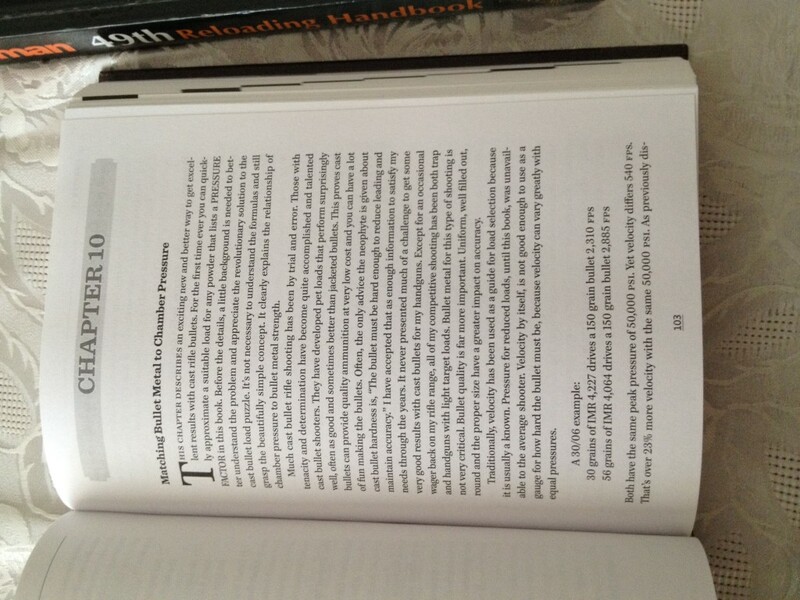 Seriously though, Ruchard Lee's book is extremely interesting and debunks a lot of myths about cadt bullet loads. For instance, I always thought that a harder alloy is the best way to go for accuracy and control of leading...not the case. Matching the alloy to the load has opened up a whole new world of loading for accuracy etc to me. I'm proud of you Suz! Is this the basic test or what? How many tests will you have to take to be able to do what you want? Good luck (you probably studied hard enough that you won't need luck)! I do indeed have the QuickLOAD software. I'll answer what questions about it that I can. A number of years back I got an unexpected bonus from work (About $250 if I remember correctly). I figured an opportunity like that wouldn't come often and I may regret it later if I didn't buy it, so I did. I've enjoyed the software very much and I believe it has paid for itself. The software doesn't come cheap, but then again there is really nothing else like it. It is, in the end, nothing more than a highly developed computer model and (obviously) can't provide real world pressure estimates or tell you definitively what is going to happen in your chamber/barrel. It also claims to be more accurate with larger bottleneck cases and less so with smaller straight-walled cases. While you can tweak the shot starting pressure in an attempt to compensate, it has no concept of "distance from lands". If you increase seating depth it will always show an increase in pressure. Even if your bullet was jammed into the lands 3.250" and is now at 3.200", QuickLOAD says you are running at higher pressure. So, it's not perfect but it can get you further along in the absence of data. Or give you estimates of what a new load will or won't do. It's an educational piece of software and can teach you lots about internal ballistics. I don't regret buying it and would recommended to anyone who thinks they may get enough use out of it. "Garbage in = Garbage out." Or to put it another way, you can't expect to get good results if the data provided is poor. *measured to case mouth, no meniscus.